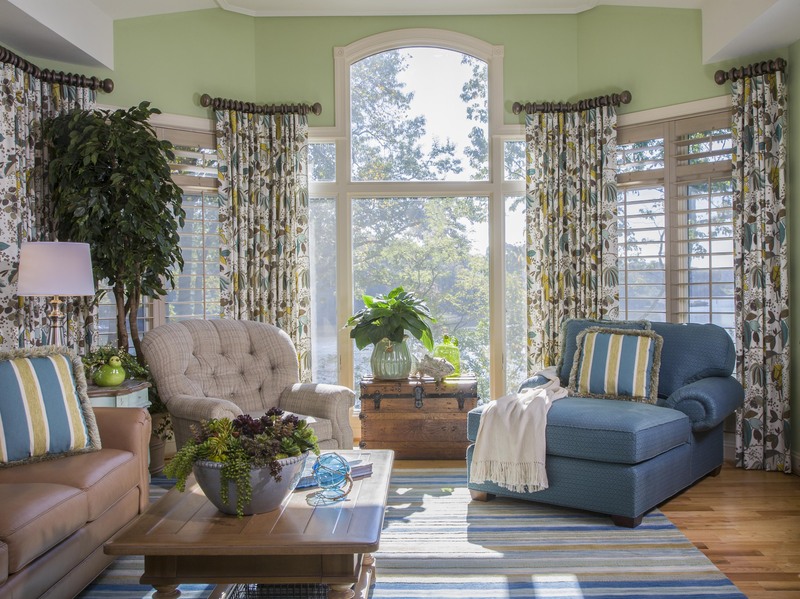 Unique windows are beautiful in and of themselves, but framing them with beautiful treatments emphasizes their shape and elevates the view. 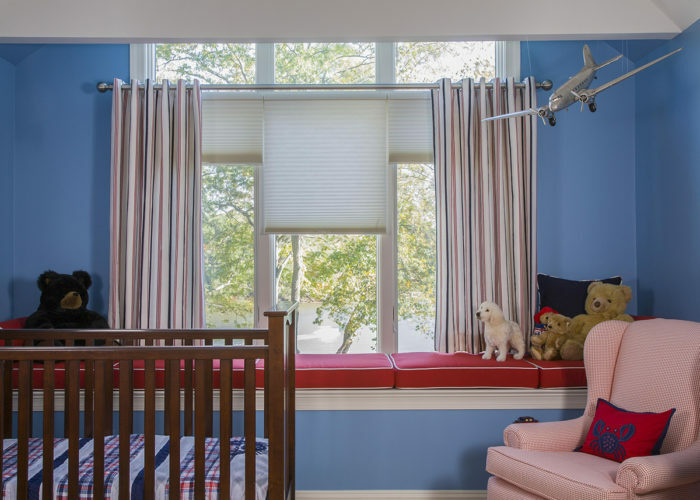 This Annapolis home presented a variety of window shapes to be outfitted by panels, top treatments, and shades. 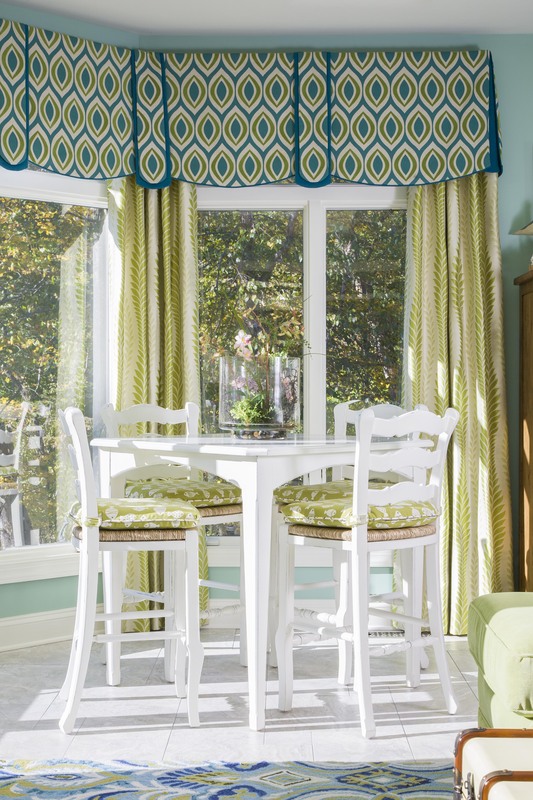 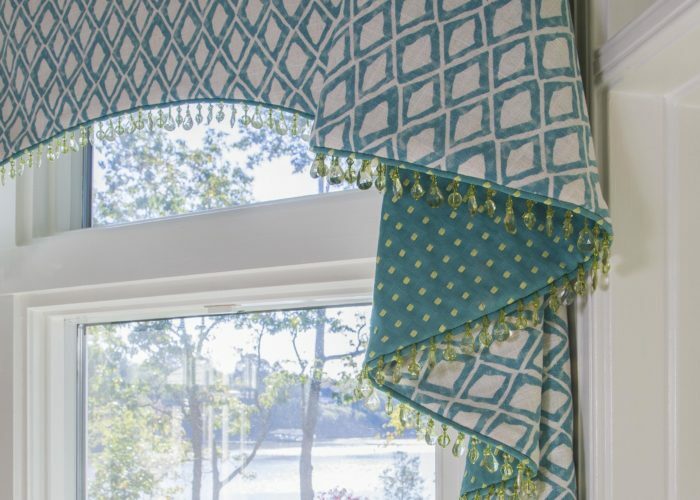 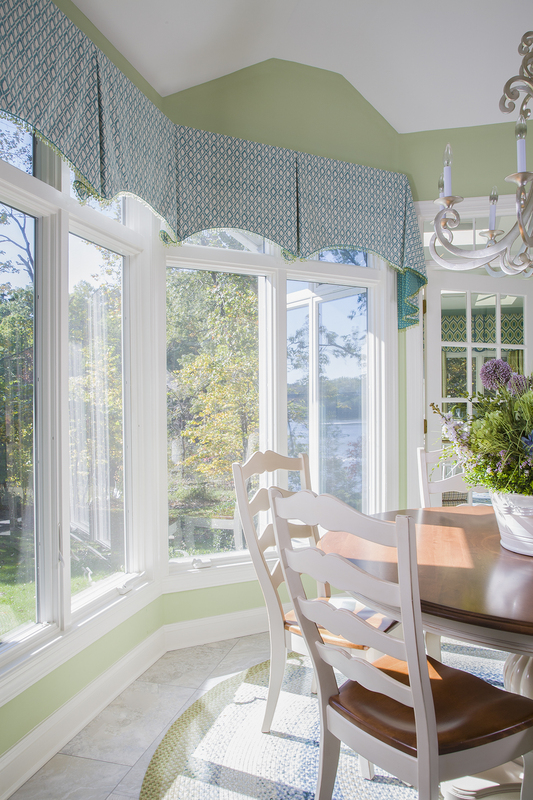 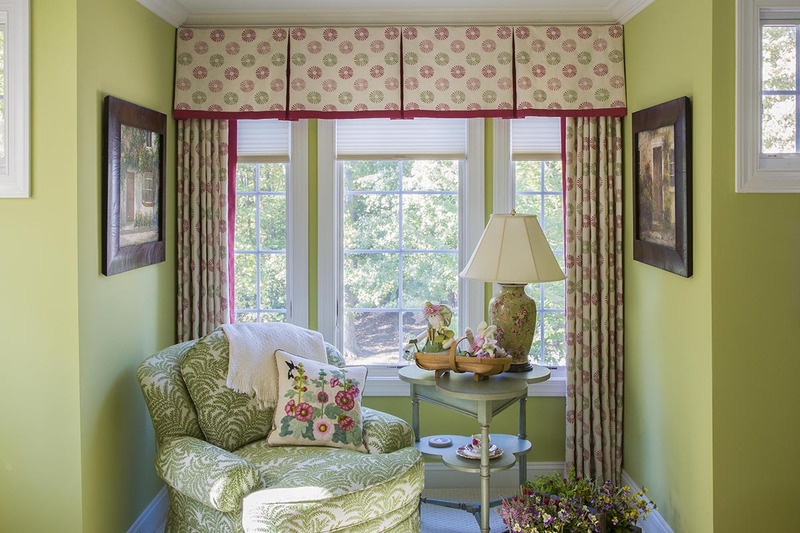 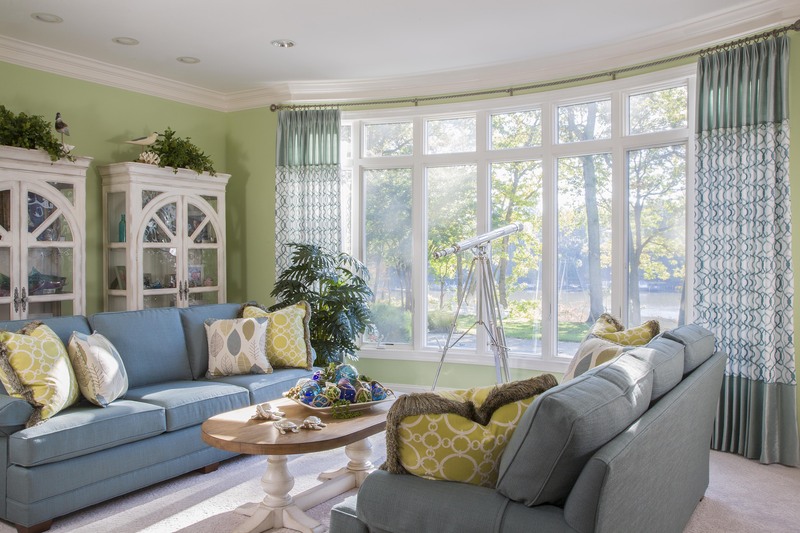 Creative solutions were necessary, like a custom-bent drapery rod from which hang embroidered panels that frame the living room bow window and a spectacular view of the South River. 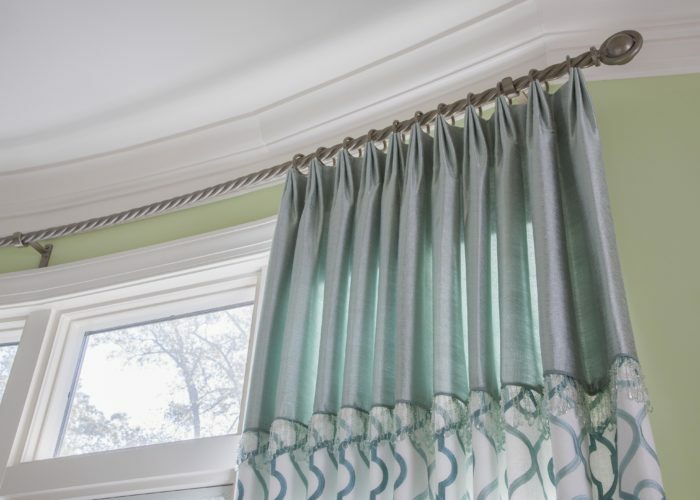 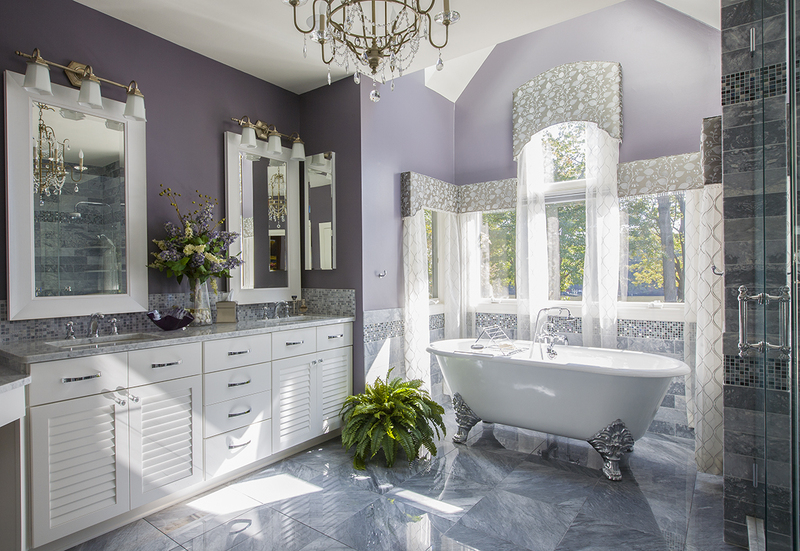 In the master bath, one of our favorite rooms, sheer panels add a touch of elegance while Hunter Douglas Duette Honeycomb shades offer the ultimate in versatility. 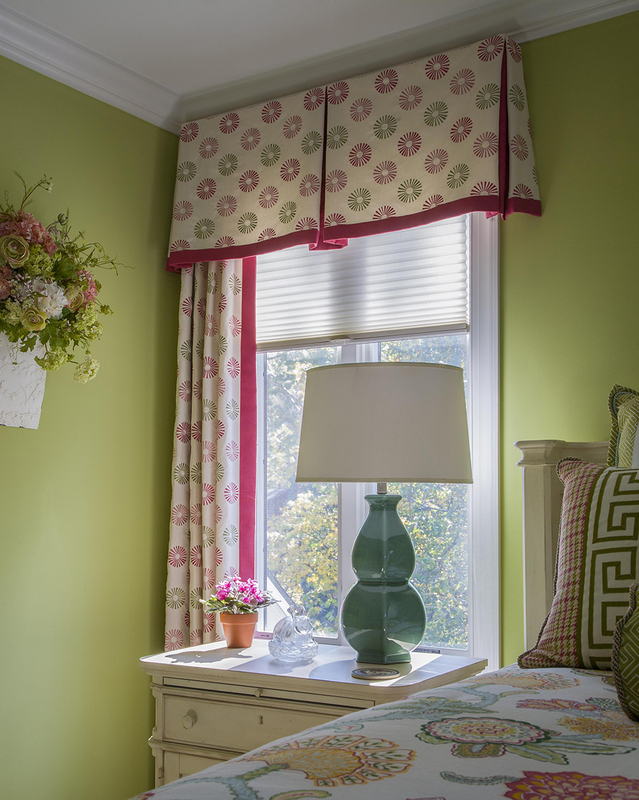 These top down/bottom up shades lower from the top or raise from the bottom to provide natural light and privacy.